Recent preclinical studies demonstrated the use of engineered cells as a potential way to treat many diseases and disorders. Tailoring the cell’s function and interactions using surface engineering methods is a very promising approach in developing novel cell-based therapeutics. For instance, cell surface modification has been used for the development of universal blood donor cells. In another example, it has been shown that surface modification of stem cells is a doable approach to regulate the fate of cells into specific phenotypes, which is necessary to regain function in specific environment such as different injury sites. Cell surface engineering using macromolecules/polymers could provide desired properties and functions to cells for applications in targeted delivery, biosensing, transfection, imaging techniques, and in the regulation of cell fate. 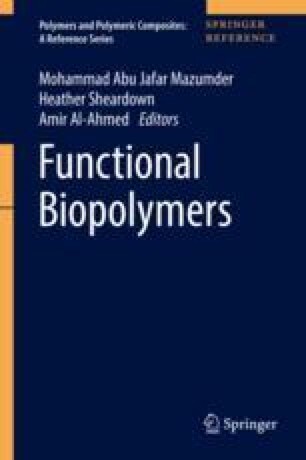 This chapter will review the recent advancements in polymer-based cell surface engineering approaches for various applications. In terms of the cell types, we have chosen to focus, specifically, on red blood cells, lymphocytes, splenocytes, stem cells (multipotent and pluripotent), islet cells, endothelial cells, and hepatocytes as they offer the most promise in generating cell-based therapeutics. In terms of modification approaches, we mainly highlighted the literature associated with the use synthetic polymers via covalent conjugation and non-covalent bonding. We also discuss the future of such cell surface engineering methods for their potential clinical utility. The authors acknowledge the funding by the Canadian Institutes of Health Research (CIHR) and from the Natural Sciences and Engineering Research Council (NSERC) of Canada to JNK. JNK holds a Career Investigator Scholar award from the Michael Smith Foundation for Health Research.